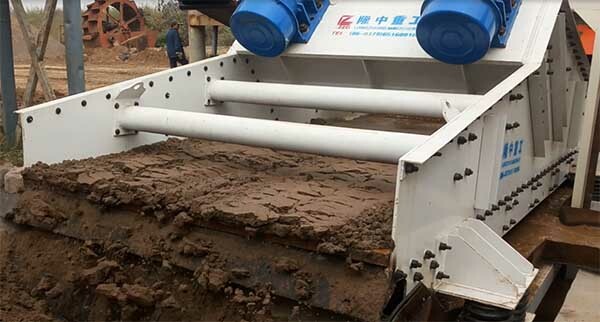 LZZG sand & gravel washing plant includes crushing, sieving, washing, recycling and muddy water purifying. 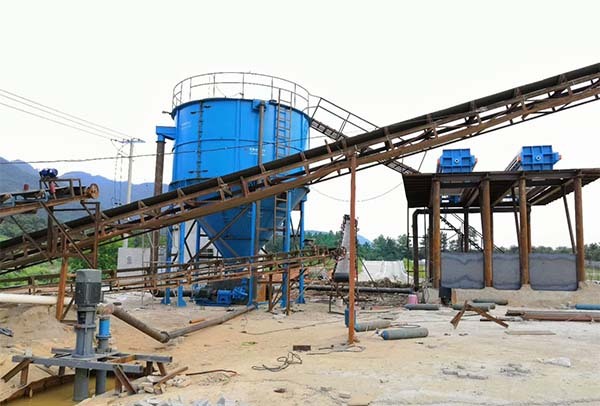 The recently sand washing plant we design is build down the hillside as bellow. After the technicians of our company arrive at the scene, they find that the coordinate points of the user’s surveying and mapping mountain body are not in line with the actual situation, and the field surveying and mapping, and comparison with the professional mapping paper, determine the position, provide the user with the overall layout drawing of the production line, the user is satisfactied with the design of the sand and gravel washing plant. 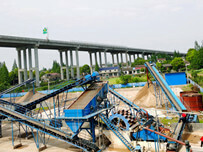 First step: Achieve sand and gravels washing, fines recycling and dewateringby using sand washing and recycling machine. 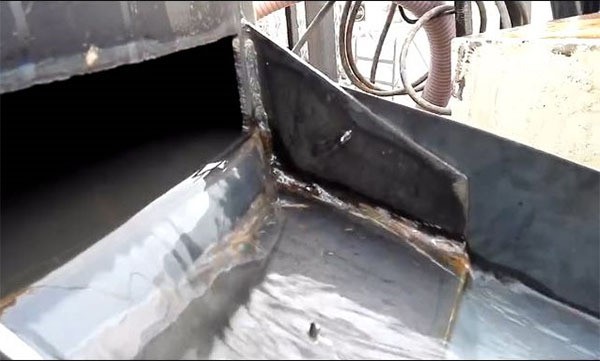 Second step: Realize muddy water that discharged from above sand washing and recycling machine purification and separation by using thickener. Finally step: Press the sludge into mud cake to realize dry pile. 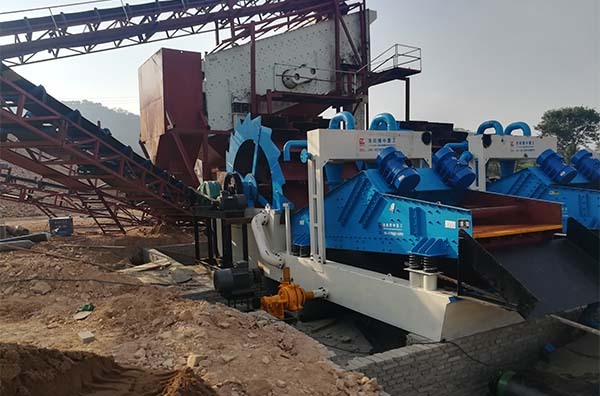 (1) Sand and gravels enters washing tank of sand washing and recycling machine. When impeller rotates, sand and gravels in washing tank is stirred to cleaning to remove the impurities covering the surface of sand and gravels. 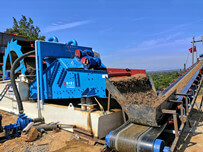 After washing, the coarse sand is sent to dewatering screen to dehydration by impeller. (2) The overflow of washing machine enters tail water collecting tank through pipeline, then is driven into separator by slurry pump to be separated by desander cyclone. 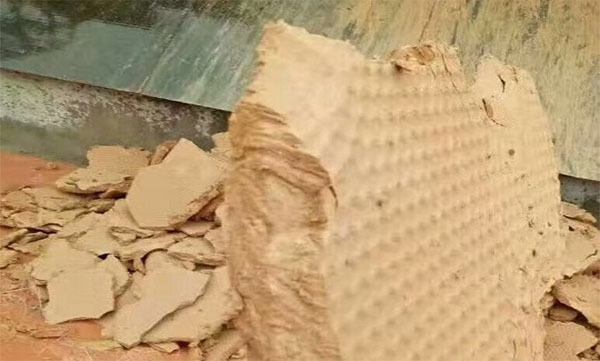 After recovering, 0.074-3mm fine sand is discharged to dewatering sieve and mixed into coarse sand uniformly to dehydrate. The discharge port is connected to belt conveyor to transport finished sand to designated position. 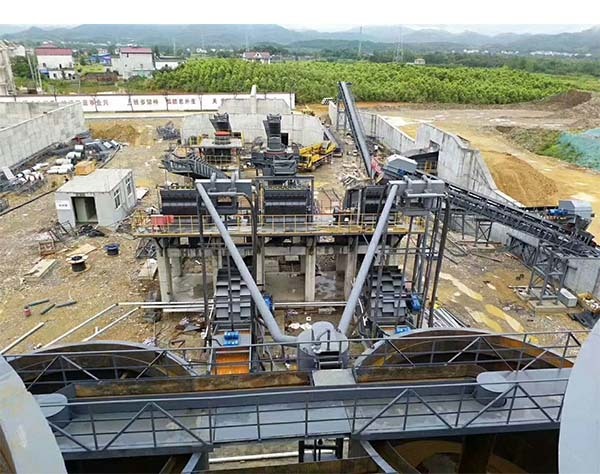 (3) At the same time, the sediment suspended content is under 5% processed by separator, discharged into the tailing water tank, then tail water is pumped into thickener for mud-water separation operation. The thickener treats about 80% of tail water into clean water, then directly enters clear water pool through overflow port. (4) The concentrated mud is pumped into chamber filter press through the bottom of thickener. Then filter press presses the concentrated mud into mud cake to realize dry pile, landfill or develop other uses. After the filter press, clean water enters the clear water tank to realize the recycling of clean water and zero discharge of entire process. 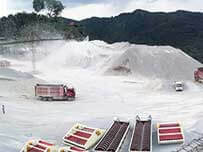 (5) Stones and sand are effectively screened, washed and dewatered in this plant, and muddy water can be recycled use. Lots of avantages of this entire production line has: excellent continuous working performance, convenient maintenance, long service life, easy movement and excellent results. At the same time, it save resources, reduce water consumptio, and ensures no pollution and meets environmental protection requirements. 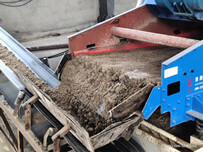 Our sand washing plant has perfectly solved the problem of sand washing, separation, and tail water recycling.